One of the best sources to get aa look at the design of any smartphone before its actual launch is via Skin and case makers. We see that before the official launch, there are already different types of cases and skins listed online for that particular smartphone. The Galaxy Note 8 is arriving on 26th next month, and we got our first look at the design via the render video by OnLeaks. That showed a horizontal dual camera placement on the back with LED flash and a Fingerprint scanner on the right to the dual camera sensors. That video also confirmed the report by VentureBeat that revealed the same thing, i.e., a Horizontal dual camera setup and same position of the fingerprint scanner. Slickwraps is a well-known name for gadget skins. It is said to be one of the best gadget skin manufacturers in the world. 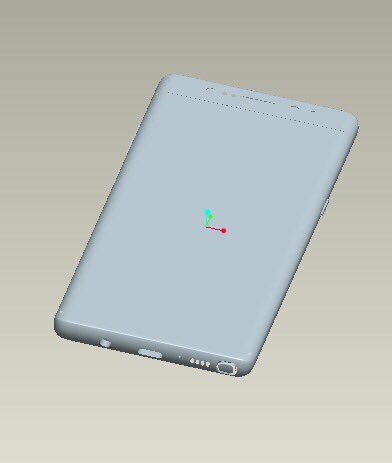 The CEO of Slickwraps, Jonathan Endicott‏ has posted a couple of images on his official Twitter account that revealed the design of the Galaxy Note 8 and once again confirmed the design shown via the render video by OnLeaks. So yes, the phone has a horizontal dual camera setup. The LED flash is on the right of the camera sensors, and the fingerprint reader is on the right of LED flash. This means the placement of the fingerprint scanner is remaining the same as on the S8 and S8+. 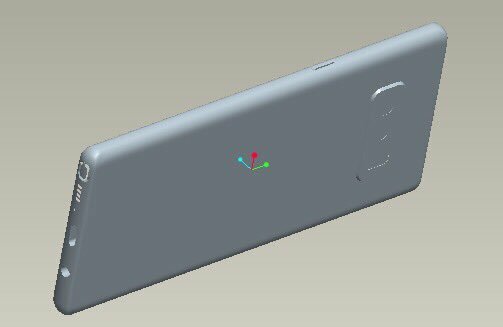 On the bottom, there is the Speaker Grill, S-Pen Slot, USB Type-C and Primary microphone. The front is the same as of the S8 with Infinity Display and almost no bezels at all due to the curved edges on both sides. The Galaxy Note 8 is flatter than the S8+, and also, the corners of the screen are sharply rounded. So, what are your views about the design? Do let us know via the comments section.